Blossom is such a beautiful design. Use the same blue and tan tones we did or choose your own 4 Grunge Fabrics. 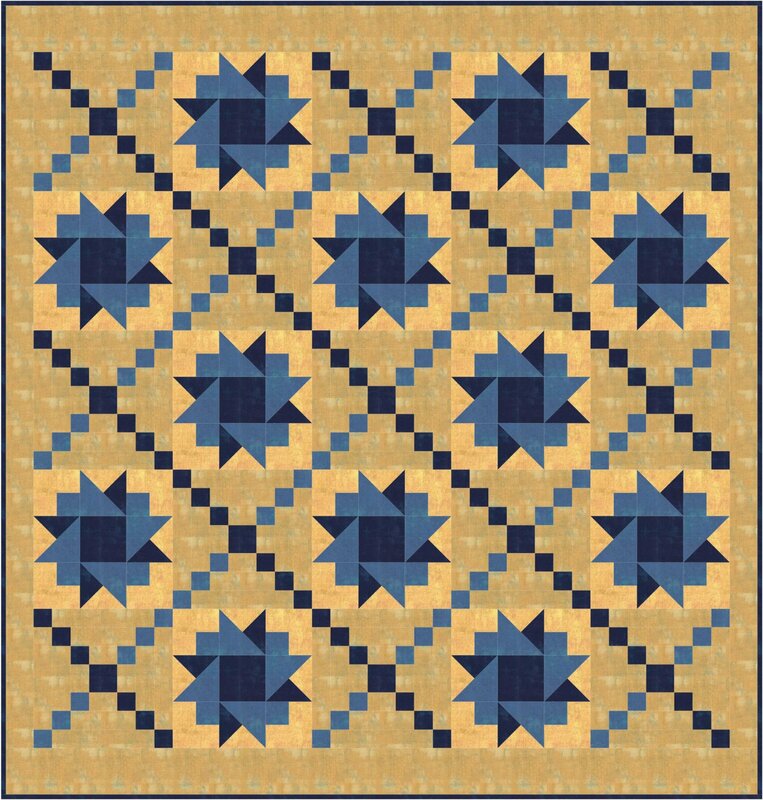 Quilt is 81 1/2" by 84 1/2".